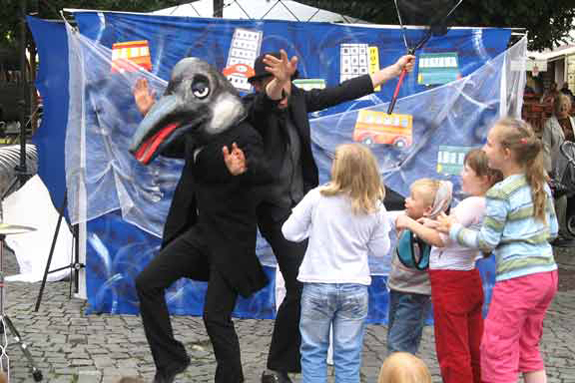 Head down to Kampa Island with the kids and introduce them to fantastical world of theatre, puppetry, acrobatics, music and art at the 8th Annual Teatrotoc Street Festival. 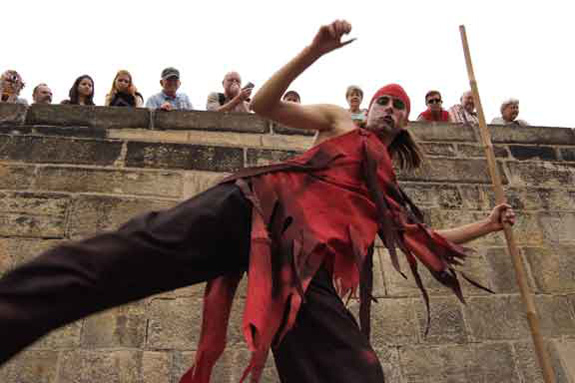 Na Kampe (under Charles Bridge) will be overtaken by colourful actors, puppets, jugglers, stiltwalkers, musicians and clowns, transforming the street into an outdoor theatre. The good news is that all performances, plus the kid’s puppet making workshop is for free! 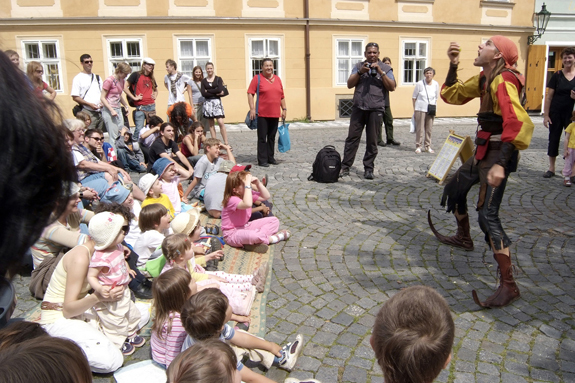 Teatrotoc’s program is tailored to families, many shows are suitable for even the youngest child and performances are often in English or are non-verbal, thus easily understood by a multinational audience. This year the Festival will feature 65 performances by both Czech and International companies from Slovakia, USA, Germany, Australia, and Canada. We had a fun time attending the festival last year. Lucie (2) was able to watch from her stroller or sit down with the kids up front, depending on her energy levels. Observing the audience of children from all over the world, each was captivated by the performers, be it funny clowns, scary jugglers or crazy puppets. 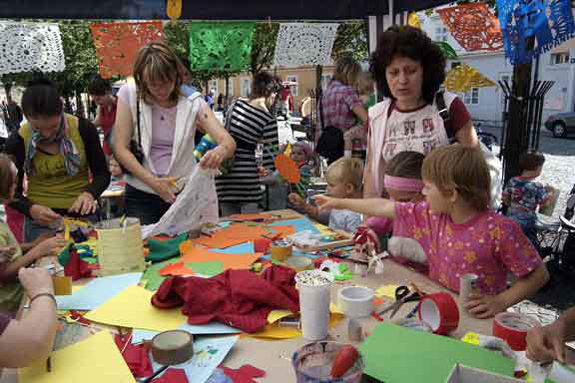 The puppet making workshop was also very popular with children (ideally, they need to be old enough to handle craft materials, scissors, glue etc). This year program highlights include Acrobat Leighton Ledbuoy from Australia who will amaze the audience when he dives from the top of a six metre pole into his hat! 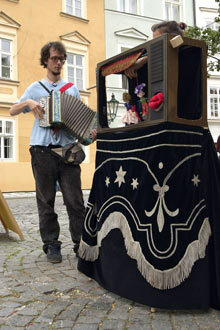 German pantomime duo Metroccolis presents their unique non verbal show full of electrifying dances as two masked robots and Medieval music from a cappela group Braagas will be performed under the Charles Bridge. 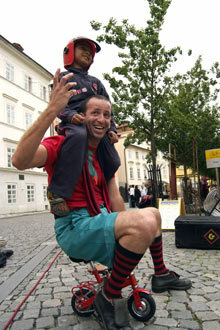 Also, popular Clown Erik is back with his spectacular juggling shows. Especially prepared for children is Marie Keller’s puppet show direct from the USA which is about hot air balloons, puppetry students from the Prague Theatre Academy (DAMU) have also created a series of highly visual fairy-tales, and the Prague-based company Puppets Without Borders will premiere their new show Apple Tales. There are too many shows to mention individually but you can find further information on each performance at the Teatrotoc website. 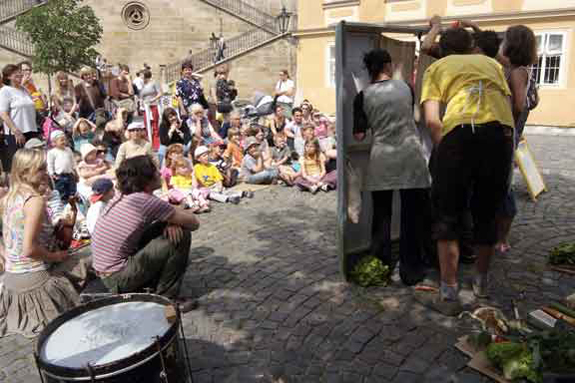 DIRECTIONS: By Metro: Take the green A line to Malostranska and walk to the Charles Bridge, performances take place in Na Kampe on Kampa Island. By Tram: take numbers 12, 20 or 22 to Malostranske Namesti. Paid parking (CZK 50 per hour), is available at Malostranske Namesti and head to Charles Bridge.